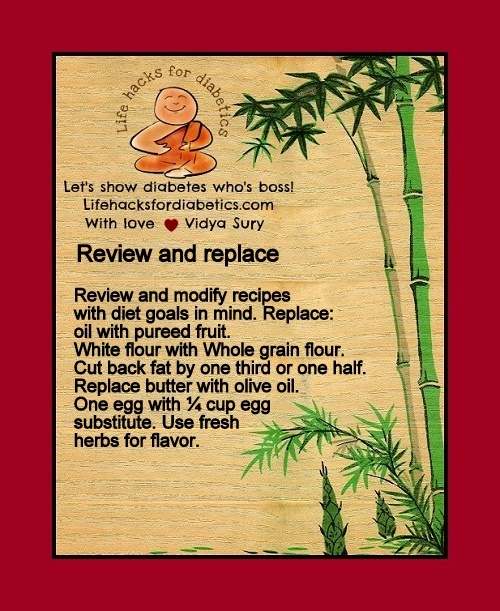 Review and modify recipes with diet goals in mind. Replace oil with pureed fruit. White flour with Whole grain flour. Cut back fat by one third or one half. Replace butter with olive oil. One egg with ¼ cup egg substitute. Use fresh herbs for flavor.